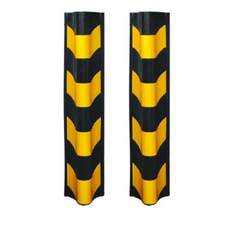 Rubber Corner Guards are used to protect corners of the walls against rubbing, scratching and brushing of vehicles. 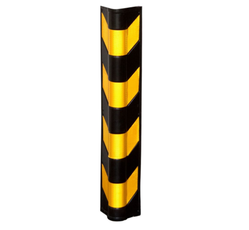 This corner guard comes with very high impact resistance followed by enhanced reflectivity at night. Yellow or white reflective stickers on it provide high visibility to drivers. They are available in different sizes and thickness depending on the type of wall corners. They are mainly used in basement parking areas of industries, malls, hotels and hospitals. 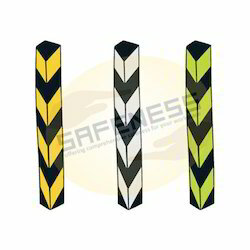 We are one of the prominent names in the industry, offering Corner Guards. 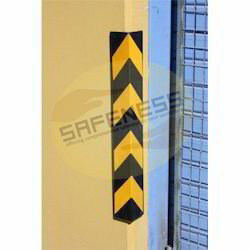 We offer a road selection of Parking Wall Corner Protector for traffic and road Safety purpose as well as for parking areas.We study the market demand for Parking Corner Guard regularly and keep optimum stock levels. Packaging Details: Both standard and customised packaging (for Domestic and Export delivery) available. We are among the prestigious names in the industry, engaged in offering Corner Guard to our valuable customers. We are known for creating a wide range of innovative and sustainable products for the industrial markets among which Round Column Guard stands on its design, strength and reliability. Feature High strength, lightweight and high durability. 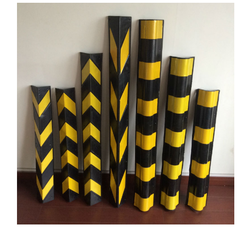 We are the prominent manufacturer, supplier, trader, distributor and exporter of Corner Protector. We have over two decades of vast industrial knowledge and experience in producing superior quality Corner Guards. Application Work areas which are prone to higher risk of accidents. We offer an extensive and comprehensive range of Corner Guards. 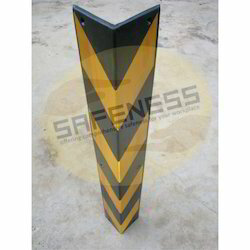 This Plastic Corner Guard is used in work areas which are prone to higher risk of accidents. 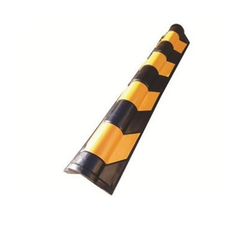 Our Parking Corner Guard is designed keeping in mind all innovative approaches to workforce safety and demands, made by industries worldwide. 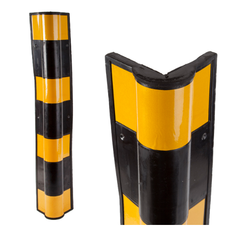 We are long-time established manufacturer, distributor, importer and exporter of Pillar Guard. 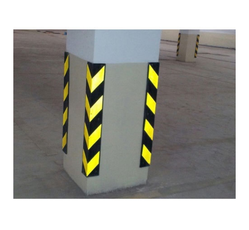 Parking Wall Edge Guard provides adequate protection to a person working in adverse working conditions. Now Companies have started adopting increased safety measures since it has become mandatory to follow safety protocols. Audits for Parking Corner Guard take place to check their conformance to safety and quality standards set by government and testing bodies. Application Manufacturing plants and indoor or outdoor work sites. With more than two decades of experience in the field of Industrial Safety Products, we have emerged as a respectable leader for the supply of Column Guard. Looking for Corner Guard ?